When you're looking to buy silver, the first question to answer is, should I buy physical silver or paper silver? Physical silver refers to silver bullion or coins. There are a number of considerations to make before buying to make sure you get the best deal and that you buy from a reputable seller. 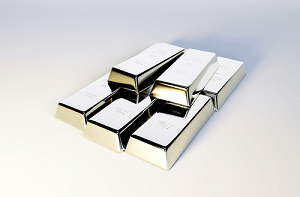 Paper silver refers to either shares in silver exchange-traded funds (ETFs) that move with the price of silver, or futures contracts where there is an amount of physical silver underlying the contract. To help, here's a closer look at each way to profit from silver. If you're a conservative investor with a lot of money to spend and you're looking for the best hedge against negative market movements, your best bet is to buy physical silver in bulk. For further guidelines on how to purchase, go here. If you're a conservative investor looking for exposure to silver at a discount, consider buying silver ETFs. If you're a bit more of a risk-taking investor, but like the convenience of an ETF, you can take advantage of leveraged silver ETFs. If you're comfortable with more risky investments and want to put down a smaller amount of cash initially, silver futures trading is the way to go. This is more like gambling than any of the others, if you don't follow markets closely, but can be a good hedge and can also pay off handsomely for a smaller cash outlay. There are a lot of benefits to buying physical silver instead of paper silver, but the biggest one is that it offers a hedge against calamity in the broader markets. It won't be fazed by a weakening dollar or a plunge in the Dow Jones Industrial Average. The hedging qualities of physical silver make it an attractive investment regardless of price movements. Owning physical silver also lets you side-step credit risk, which is an inherent problem to holding contracts. We'll get more into that later. Another advantage to buying physical silver is low storage costs. "[Silver and gold] are not very costly to store," Graham Davis, a professor of mineral economics at the Colorado School of Mines told Money Morning, "That's why they've been historically of interest to investors." This is referred to as "value density," according to Money Morning Resource Specialist Peter Krauth. An ounce of silver, which you could hold in your hand, is worth roughly six pounds of copper, and about 21 pounds of zinc, by average 2014 prices. Storing a large amount of silver will come with overhead costs, whether you choose to let bank vaults act as custodian, or you buy your own secure safe to keep at home. As noted by JMBullion, a precious metals dealer, safes can cost anywhere from $100 to several thousand dollars. Banks can also store your silver, but there are concerns about accessibility and security. The federal government has seized silver bank stocks before, and if this were to happen again, you could be deprived of your hard-earned investment. Buyers also need to be aware that vendors will charge a premium on top of the spot price when selling physical silver. Silver retailers have to pay overhead to store and secure physical products, and premiums are a means of pricing these costs in. The total premium is determined by the quality and the silver content of a product. You can, however, generally offset some costs of premiums by buying in bulk, as opposed to buying say, a single Silver Eagle coin. Members-Only Benefit: Money Morning Members can get a free Silver Eagle when they open a precious metals account with Asset Strategies International. Go here to learn more about this special opportunity. If these costs turn you off from buying physical silver, then maybe paper silver is a better fit for your goals. Paper silver can be categorized in a couple of ways. I'm with Mr. Robertson, I don't worry about the price. I stockpile when I can, knowing that in the coming years the profits will be their. Do You's think silver will approach ten dollars an ounce before it explodes to the previous high over 40 per ounce? On the topic of 'profits' – I read that some are selling when it gets to be a certain price, good or not so good? If so like where $30, $40, $50 an oz? I agree that physical silver is an excellent asset! It is near the 8 year lows, and is not likely to severely weaken on a long term basis. Paper silver concerns me. Even though you make a successful silver trade, in a major economic meltdown, your brokerage firm may not survive. Collecting your wins may not be practical!